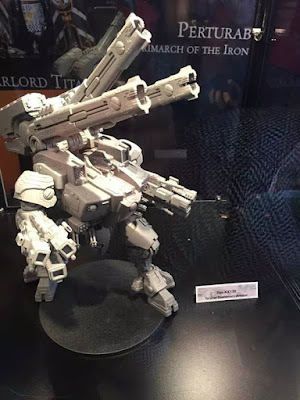 Warhammer Tau: New Tau Super-heavy Battlesuit!!! It is finally here! It's been hinted at for over a year and it still has a ways to go before we can get our hands on it, but it is very close! 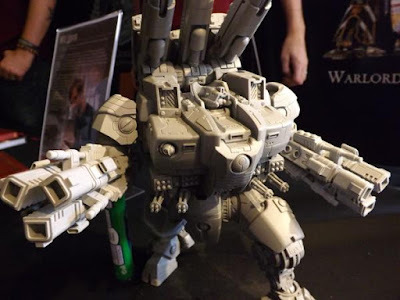 First off, thanks to the people who snapped some pics of this beast so that those of us who are unable to attend these events can see what cool new models Forgeworld is pumping out. You are appreciated! Thanks to Will Hayes and the FW other designers who might have helped with this model. 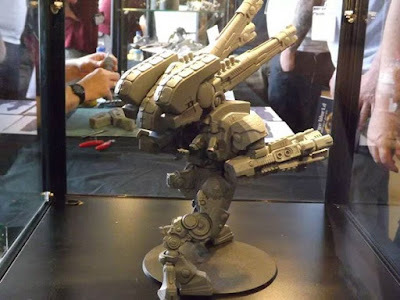 Daren Parrwood and Will are responsible for just about all of the Tau Forgeworld models and I am very grateful for their work. The big weapons on the back are rail weapons, almost certainly with a double or even triple weapons profile. Naturally one will be D strength and one will be for carpet bombing entire table sections. Obviously, each arm is carrying some form of triple Ion cannon/accelerator. This is a Superheavy Walker. NOT a gargantuan. 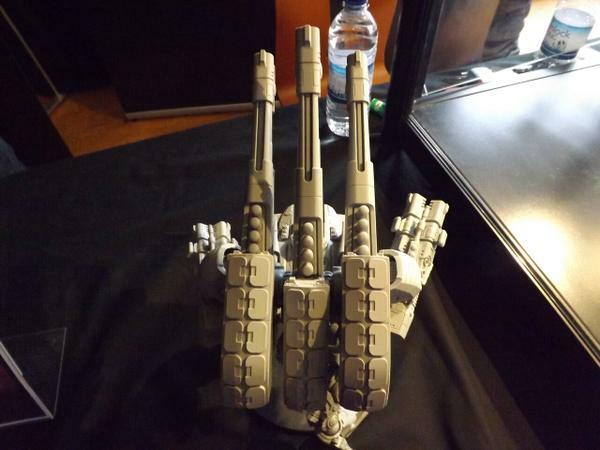 However, it is likely to have some sort of Snapfire/Overwatch capability. No NOVA powers, but the thing is so huge it will basically be constantly on NOVA thanks to increased shielding for the pilots. 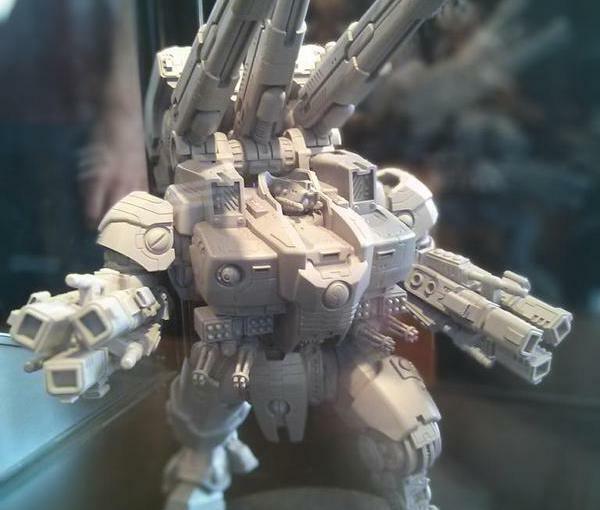 Expect more weapon options for both the rail battery and the forearms. 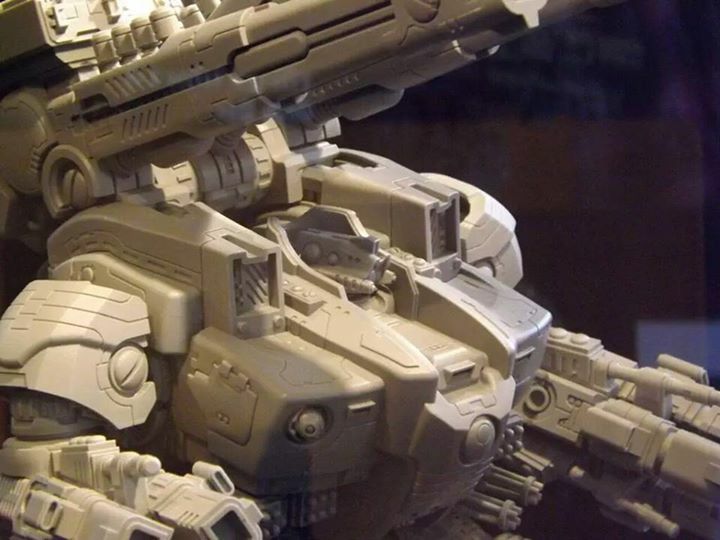 The model is finished and is off to the moldmakers so it may not be long before we can buy it! Fluffwise, Tau don't hold much stock in huge expensive machines. However, the success of the Y'vahra and R'varna have shown that Tau have the capability to excel in this field. Where the Tau used to rely on air superiority and the Tigershark AX-1 or the Manta to bring down enemy titans, they now need another angle. 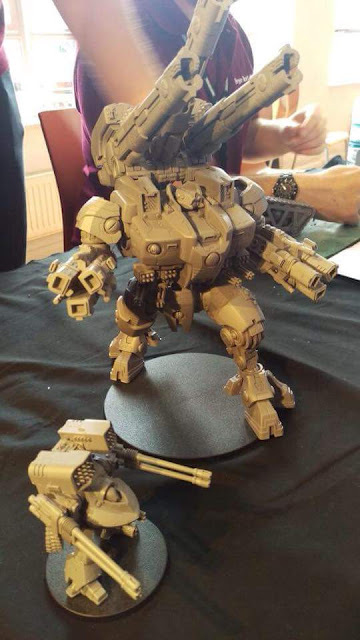 Tau are facing more and more Imperial Knights and other Titans as they expand their borders and the Imperium dedicates more resources to the fight. 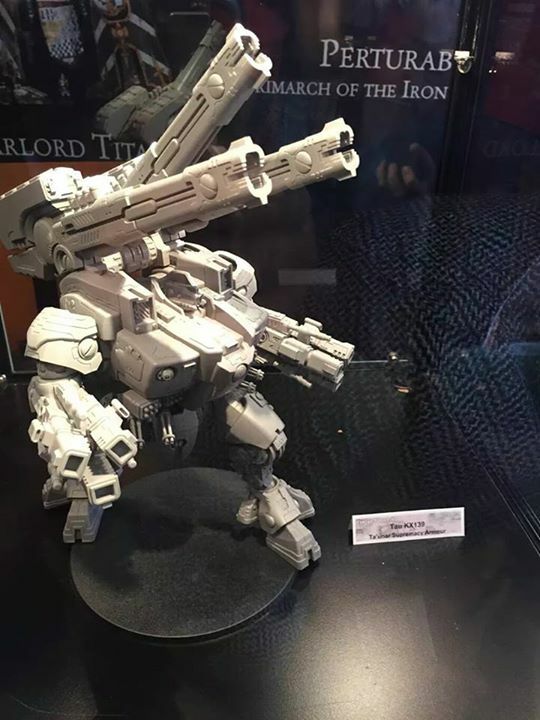 This suit is the Tau answer. 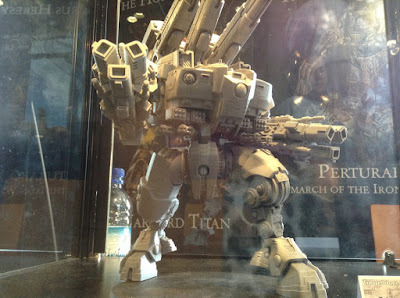 A Tigershark can take down a Titan, but usually not alone and the time to get them to the battlefield is an issue. Air superiority is supposed to be Tau's thing, but Tigersharks can get held up or lost en route. The Tigershark just doesn't have the power to assure victory against a Titan, even if it can clear away just about anything that flies. This new KV suit can be deployed on the ground, go toe-to-toe with enemy Titans or Gargantuans, and win. The back/shoulder mounted weapons are back in style! Wow. Those guns are insane. It's absolutely astonishing and gorgeous! Can't wait to get hold of one. :D Good thing it's not available now, so I have time to spare enough coins. Tau score 3rd place at the Bay Area Open!